The table is booked! The venue for our December meeting, to be held on Tuesday 8th, is Malabon Tandoori, Dragon Street, Petersfield. Aperitifs will be at the Red Lion from about 19:30, and then dinner will be at the Malabon at 20:30. This will be our third visit of 2015 to Malabon, and and we think it's a great choice for our pre-Christmas event. 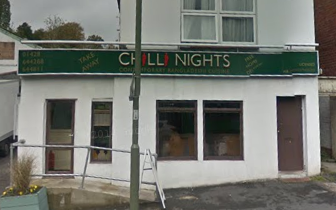 Other restaurants that had two visits each are Spice Lounge, Paradise Balti, and Chilli NIghts in Haslemere. Madhuban in Liss, the Bay Leaf and the Gurkha Durbar, both in Grayshott, had one visit each. This has been a difficult year for our curry club, with lower attendances due to Wednesday night clashes, and the fact that some members simply don't like to sit down for dinner as late as 20:30. We've tried to address both of these. We experimented with dinner at 19:30 but had little positive feedback. The variation of day seems the more acceptable, and we'll carry on this trial. So we hope that as many as possible can make it for our last event of the year. Please let me know whether you expect to make it, either in response to the members' notice e-mail or by using the feedback page on the web site. Christmas is coming, and our Amazon shop is able to take orders for lots of things that you might consider for presents for family, friends, or even yourselves. Our categories include Indian food, Food & Drink 2015, Indian music, Books, Kindle, Electronics, Classical Music, PC Video Games, DVD, Kitchen & Home Appliances, Music, Software, Toys & Games. Any purchases (except my family's) through our shop have the potential to give commission that will go into our Curry Club kitty, but they just changed the terms so if we don't use it, they can take away what we've earned to date. If you plan to buy using Amazon, please use the links above! Looking forward to seeing as many of you as possible on Tuesday 8th! We visited Chilli Night in Weyhill, Haslemere, for our November meeting. Few of the southern contingent were able to make the journey, but we found the usual warm welcome and enjoyed a very good evening. Once again, we experimented with a Tuesday evening rather than Wednesday and a slightly earlier start, dining at 20:00 rather than 20:30. Due to the shortage of decent pubs in the Weyhill area, we met at the restaurant for pre-dinner aperitifs. As usual, we asked the restaurant to choose the menu for us. They did well, and while the main courses were all medium-hot rather than hot-hot, there was masses of flavour and the food delighted us. The mixed starter included fish tikka, shamee kebab with spinach, onion bhaji and a mixed chat and puree - delicious flavours and a great start to the evening. Lamb Shatkora (lamb with limes). Side dishes were good too - tomato and aubergine was unusual and tasty, three types of naan, dhal and three types of rice. It was a very good meal, with contrasting flavours, and enjoyed by us all. Next door to Chilli Night is something we haven't seen in Haslemere before - a brand new 'Indian' shop with a range of unusual pickles, spices and ingredients. It's also a general convenience store, offering newspapers, drinks and conventional groceries. The Christmas meeting will be held in Petersfield, and should be on Tuesday 8th subject to table availability. The table is booked! Our November meeting will take place on Tuesday 10th at Chilli Night, Weyhill, Haslemere. Because there's a shortage of decent pubs nearby, the table is booked at the restaurant for aperitifs from 19:00, and we'll eat at 20:00. The restaurant is about five minutes' walk from Haslemere station, and there's plenty of parking nearby, including the free area off St Christoper's Road turn off the main road beside Shahanaz. Chilli Night produces some delicious food, as we found on our visit in January. Here's the review of that visit. Though attendance was slightly disappointing, with only 9 showing up, we had a thoroughly good evening and those that couldn't make it up the A3 from Petersfield missed a good one. Because I've been away from my PC on Rugby World Cup duty, this notice is a few days later than intended. Please let me know as soon as possible whether you'll be there, either using the feedback page on our website or in response to the mail notice sent to members. Looking forward to a great evening with some not so chilly food!